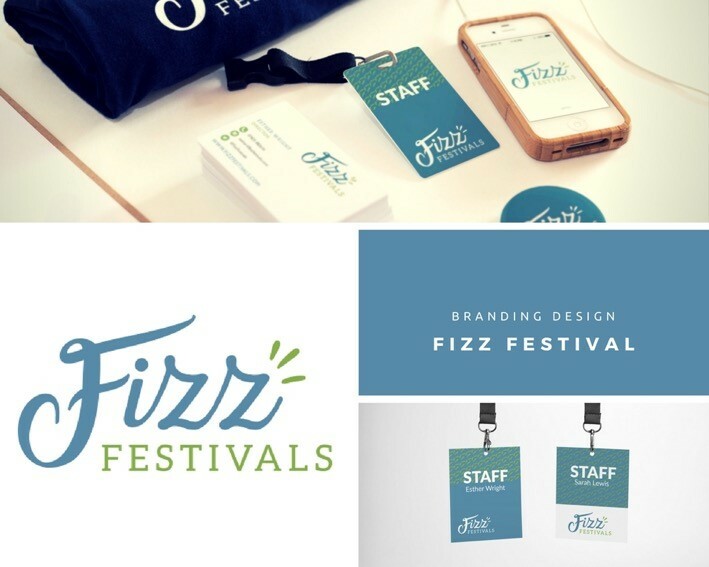 Out guest blogger, Kat of Sense Design, tells us more about the importance of branding and how she created the branding for Fizz Festivals. “I have been running Sense Design since 2007, having decided to become self-employed so that I could build a business around raising my children. At Sense Design I specialise in design for print but also work with clients on design for web. I have a particular passion for branding and typography and it is with regards to this that my business has really grown. I create clean yet dynamic designs and love working with clients to really understand their business and help them create their brand. I work with small and micro businesses as they begin their business journey but also have national clients including Maxi-Cosi and Unilever. Working with Sarah and Esther on their new venture, Fizz Festivals, has been a dream come true. It has been a joy working with such dynamic entrepreneurs on their new and exciting venture. I have loved being part of their team from the beginning – from concept to full in-depth fulfilment of branded products and marketing materials. So what is branding and what was the process I went through with Sarah and Esther to create the Fizz Festivals brand? It is important to understand just how vital branding is to a business and that branding extends far beyond a logo but reaches out to the whole customer experience. Sarah and Esther understood from the beginning that their Fizz Festivals brand would define the way in which their customers would perceive them and they had to get it right. The Fizz Festivals brand was well thought out and planned strategically and I am very proud of it. What should a good brand do? · Enables your business to have longevity.